The clean eating movement has found its way into mainstream food culture. When McDonald’s is switching to natural butter and antibiotic-free chicken, you know it’s not just a hipster trend anymore. Fast food restaurants known best for cheap, satisfying food of unspecified origin with indecipherable ingredient lists are now spending millions to clean their menus, and small start-ups based on clean eating are quickly spreading across the continent. Customers, especially Millennials and Gen Z, are willing to pay more for food that meets the “clean” image criteria: simple, recognizable, natural ingredients, free from a long list of undesirables including trans fats, artificial colors and hormones. Cleaning a menu is no small task. Clean-up jobs cost hundreds of millions of dollars, sending managers out on wild goose chases to source banana peppers that can endure travel preservative-free without losing their color, or sifting through sauce ingredient sub-suppliers to ensure they are living up to their promise. However, given that Millennials and Gen Z have not shown any deviation from their demand for transparency around their food choices, it will not be optional much longer. The good news is that there are some brands who are doing a good job of cleaning up their menus, providing great examples for other foodservice operators as they undergo the clean labeling process. Here are some highlights from the pros. Panera has done an excellent job of making a promise to customers and then fulfilling it with transparent communication. 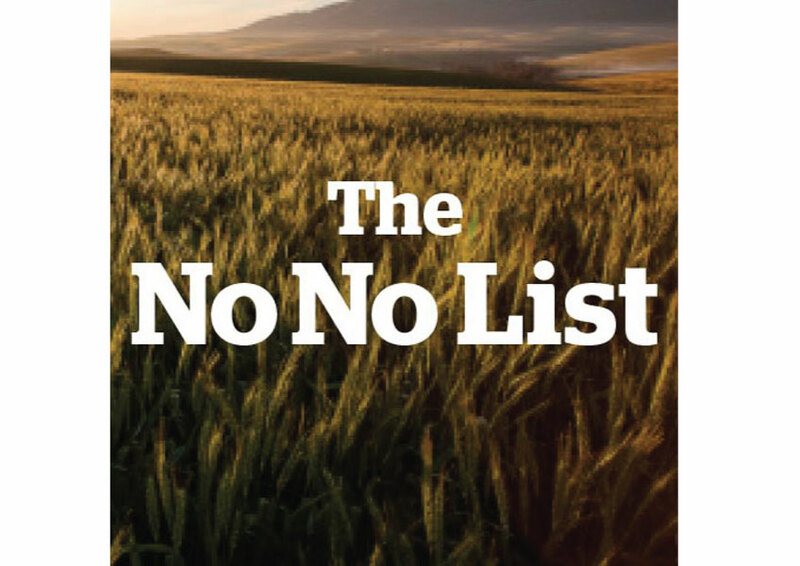 Their No No List details exactly what ingredients are blacklisted at Panera, and the website includes simple stories like this one about how they cleaned up a simple menu item: their balsamic dressing. By communicating in a clear, simplistic manner and sharing details about the process, customers can trust that Panera is doing what they say. It also shows that their 100% clean claim is founded in a comprehensive understanding of their customers’ key concerns. Although they aren’t yet as clean as the other operators we talk about here, their communications about their commitment are extremely effective. It feels genuine, and customers have responded positively. Just 10 years old, the name says it all, Sweetgreen began with a clean menu as a brand promise. It has quickly grown into a national brand (more than 60 locations and growing) that makes local, sustainable, clean fast food a reality. 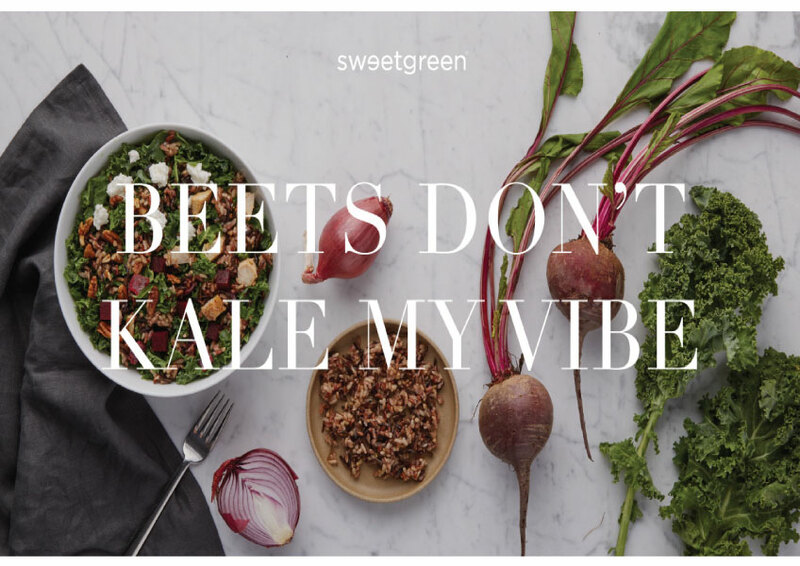 Heading to the home page of their website, Sweetgreen positions itself as more than just a restaurant. Images of community events, not food, are the first thing you see. To view the menu you are first prompted to choose a city, because the availability of local foods varies and therefore, so does their menu depending on which Sweetgreen location you are visiting. Their website dedicates a lot of space to sharing their mission and their “food ethos,” which offers consumers total transparency by providing information on the company’s sustainability initiatives, food safety, and authenticity. Imagery features real people in action: educating, planting, harvesting, cooking, and eating, with a color palette that includes a strong white and green focus. Everything about Sweetgreen says authentically local, and invites customers to become part of a community through intimate stories about real people. Although it’s not competing with Panera and Chipotle’s core customers (yet), brands like Sweetgreen are growing fast and will soon become real contenders in the fast casual category. Given the size of Chipotle’s network, their commitment to a cleaner menu goes farther than any of the other fast food giants, including Panera. 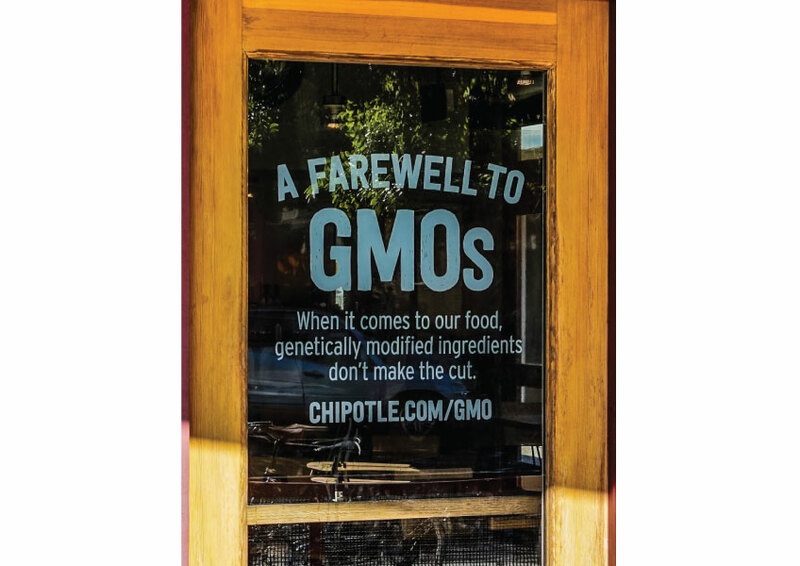 They were the first brand to disclose the presence of GMOs in their food and have made a commitment to removing them altogether. They have a longer list of removed ingredients (80) than Panera, and use only 9 undesirables as compared to 54 at Panera. 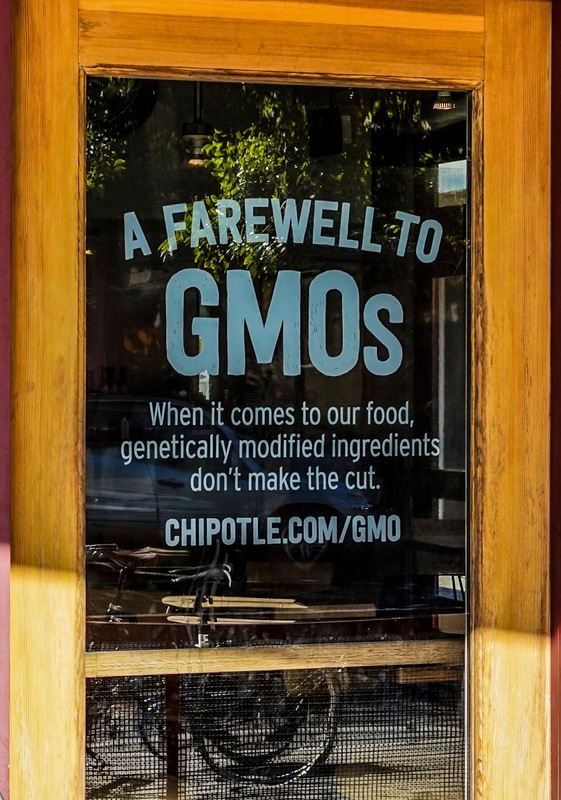 And yet, in spite of their obvious commitment to cleaning their menu, it remains unclear whether or not Chipotle will ever be able to fully recover from the e-coli outbreak that has plagued the brand’s perception. Sales for 2017 show signs that Chipotle’s investment in a new food safety program and continued commitment to cleaner food might finally see the brand rise up. The brand continues to push its value proposition of “food with integrity”, but finding details about ingredient sourcing and lists is more difficult than with Panera. Chipotle’s roller coaster ride brings to light just how important it will be for brands who make their ingredients a key point-of-difference, to ensure the quality of those ingredients is monitored with the utmost care. For brands not yet making the commitment to a “clean” menu, making baby steps by addressing one ingredient or one menu item at a time is another tactic to consider. There is a risk involved in this tactic: companies like McDonalds and Starbucks have been accused of “clean-washing” for making small changes, such as changing the color ingredient in Starbucks’ pumpkin latte, but ignoring other “dirty” ingredients. However, if clean ingredients are simply an added benefit, rather than a core value of the brand, making small, incremental changes still appears to provide a benefit of positive consumer perception. How long customers will tolerate this kind of half-effort remains to be determined. Millennials and Gen Z will pass on their clean food preferences to their children, and food security as a global concern will push the issue to the forefront, making it very likely that clean menus will soon become the status quo.